CoinOpCollectorForum.com • View topic - New Book on the Coin Machine Industry. New Book on the Coin Machine Industry. I am a new member to this site, I must congratulate David, for doing a great job in setting it up. 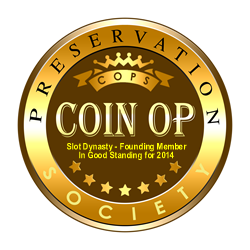 I am The Official British Coin Machine Historian, and my credentials are that I have been in the Coin Machine Industry for more than 60 years on a daily basis, during the last 60 years I have been involved in not only the business of operating coin operated machines, but also of Designing, Distributing and Manufacturing amusement/slot machines. 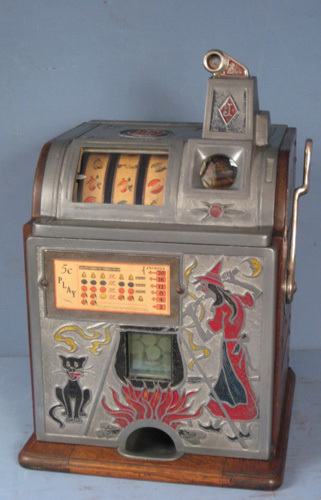 During the early 1970's, I started to collect early coin operated jukeboxes, and other various amusement games. sadly in 1981 my entire coin machine collection was destroyed in a warehouse fire while in Transit to my home in Ireland. Since that time I have only collected coin machine related memorabilia. I have probably the largest collection in the world of coin related papers. 143,000 files, I write articles about the industry from the past to the present, most of my articles are posted at http://www.coin-opcommunity.co.uk that is the British Coin Machine Industry weekly newsletter, if you desire to read the many articles I have written, please go to the site, and in the search box type Freddy Bailey and all of my articles will appear. I have joined this magnificent site after sending Dave a flyer about my new book, he in turn suggested I post it on this site for his readers. Now I know the site, I will answer any questions that the member may have about their machines, in the 60 odd books I have in my collection, there is not much about the actual facts on the birth of the coin operated machines industry around the World, most of my information in my new book shows pictures and copies of original flyers of the slots and games produced during the 1920-30's era, you will be amazed just what companies built what games and when. The Book contains 212 pages with more than 300 pictures and flyers of machines from many parts of the World, and is available either through me directly or from The Crow River Trading Co, in the U.S. or from Electrocoin in the U.K. if you live in Europe. See attached some of the inserts of the book. Also I would like to extend a 10% discount to any buyer who is a member of CoinOpCollectorForum. You can now thank Dav, for bringing this book to your attention. Re: New Book on the Coin Machine Industry. your expertise, when needed about the machines you know so much about. as I am so involved with this Forum, and other ventures. But rest assured, I will return. to catch up with all the goings-on. INTERESTING front casting design on the little duke in the ad up above. That design must have been for export only. I just watched the freddy bailey interview on youtube. The little duke originally was a French machine.....the original French company entered into an agreement with jennings to manufacture the machine for them at cost which in turn allowed jennings to make the machine for the American market. Reference source buschel jennings two volume set volume 1. I have owned one of the 1 cent Little Dukes with no jackpot and seen 1 or 2 others. Very early and rare, the one I had was all original and unrestored with original paper. The award card does not say the word jackpot. Bueschel does talk about this model in one of his books. Looking forward to getting the book as I am a fan of Freddy's, meet him and his wife once very interesting to talk to and learned a lot from him.